and supply of better photography equipment. We will also look at the pattern of “today’s SIGMA” with the establishment of our subsidiary, SIGMA China. 2014 was the year of the bi-annual “Photokina” held in the city of Cologne, Germany. “Photonika” is the world’s largest trade fair for those associated with imaging. It is also an important event for SIGMA, returning to the scene of the first public announcement of our new product line ‘SIGMA GLOBAL VISION (SGV)’ back in Photokina 2012. “Made in Japan” at SIGMA’s sole manufacturing base in Aizu, Japan, the three lines of Art, Sports and Contemporary that make up ‘SIGMA GLOBAL VISION (SGV)’ have all been tested with SIGMA’s core Foveon sensor technology, with each lens set up to give optimum optical performance. Optional enhancements such as focus positioning and changing mounts etc. gives users a closer and long-lasting relationship with their camera. SGV proposed a new user-oriented way of thinking towards interchangeable lenses which meant overhauling the standard set by what is considered the most important element of a camera system. This clear attempt to dramatically change an established practice up to that point was in all honesty followed by a degree of anxiety as to whether the market would really accept our new ideas or not. However, by diligently pursuing “what photography equipment should be” and then marketing them one at a time, we were able to receive greater support than we had anticipated. There are not only just the 14 lens models within SIGMA GLOBAL VISION (SGV) range (as of October 2014) but also SIGMA’s new generation of focal point DP series cameras, of which there are 3 models in the Quattro series, together with a new family of products that highlights the company’s new attitude. 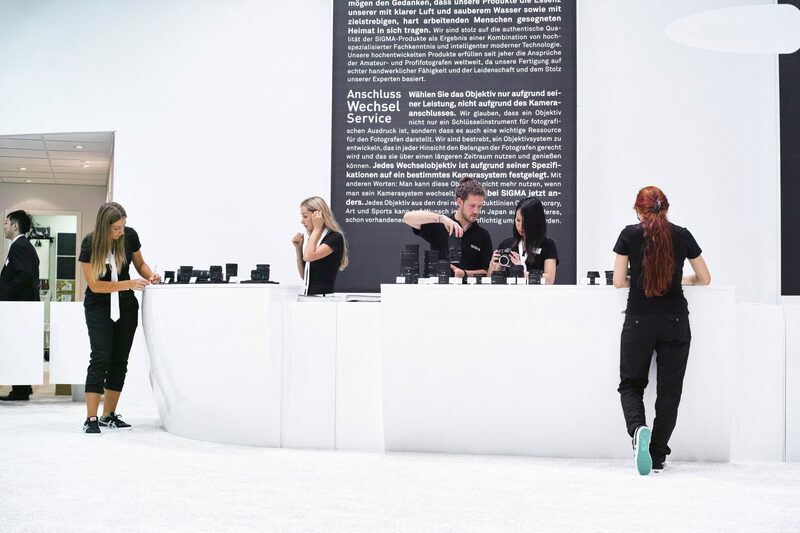 Our new products including the 14 models of SGV lens and accessories for the 3 models of the dp series were lined up at “Photokina 2014”. Passionate SIGMA users and attendees gathered under the symbolic monotone colors that unify ‘SIGMA GLOBAL VISION’ (SGV). Connecting people through value, not “national character”. Developed under the brand ‘SIGMA GLOBAL VISION’ (SGV), SIGMA offered a single universal style and name for all its in-house products to be retailed in over 70 countries worldwide. It’s a remarkable trend according to CEO Kazuto Yamaki. “I get asked about the differences in regional markets but I have a feeling that between countries and regions, the views are not so different. For sure there is a difference of scale between markets, and there has to be some “national characteristics” in regard to the demand and market for different types of equipment or preference in photography. However, talking about the world of cameras and lenses, I think there is little difference in feeling towards aspects such as the intrinsic performance demanded by users, and the desire for essential performance, be it in places like New York and Paris, or Bangkok and Tokyo. There is bound to be a certain demographic that seek to be all over the place, are more emotionally engaged, able to pick out substance and choose what they want by following their own judgment. In SIGMA’s case, maybe because we are selling to different markets with the same products at the same time is why a trend is apparent. In fact, with the new line of lenses, led by the Art series, it does not matter where they are from in the world, we have been praised by photography lovers who were previously not SIGMA users. Among them, it seems we have struck a chord with especially those regarded as “serious photographers” who are seriously focused on photographic expression. Given this pattern, we wanted to see for ourselves how SIGMA is being received, so we made a visit to China, one of the most dynamic markets in the world. ● Upper：Asia’s largest photography fair ‘PHOTO SHANGHAI’ was first held at the Shanghai Exhibition Center in central Shanghai over 3 days from September 5th to 7th 2014. More than 40 major galleries and agencies from around the world took part. 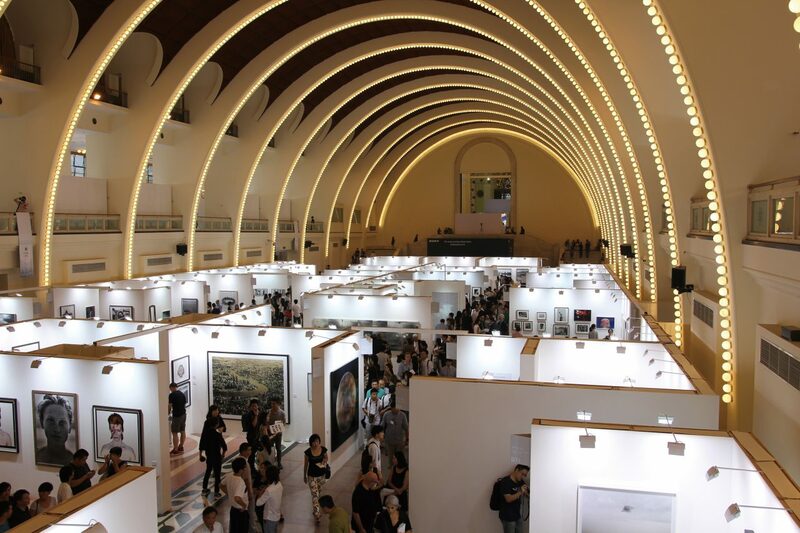 Along with exhibits, business negotiations and events, it was crowded with attendees wanting to view the photographic art on display on the general admission day. ●Lower left：“Red Town” in Shanghai, where the office of SIGMA China is located. Once an industrial site, it has been renovated into an area highly receptive to art and design that houses independent apparel manufacturers, studios etc. ●Lower middle：“Shanghai Art District M50”, an art spot representing modern Shanghai. Independent galleries, studios, creative services, offices, cafes etc. are located in this area. ●Lower right：Shanghai’s foremost tourist area, “The Bund”. Once a settlement for foreign residents between the latter half of the 19th century to the beginning of the 20th century, it is now a popular spot where a foreign atmosphere still prevails. Luxury shops have recently lined the streets. As a leading Chinese art photo collector, and owner of the specialized digital media giant “Seatech”, Long Lee knows all there is to know about the camera world in China and the trends of camera users. He analyzed SIGMA’s situation as follows. “As far as I know, I believe SIGMA has succeeded in making people recognize that there ‘can be a differentiation in high-end equipment’based on their DP Merril / dp Quattro series currently on sale within China. Though small in volume in China, its strength is through the skill and literacy behind the images, the layers of machinery and materials within, and the excellence of the sublime image quality and technology to create extraordinary range. This strong brand personality makes us stand out and distinguish ourselves among the market. It would be great as well for SIGMA to grow together if the Chinese photography scene matures hereafter towards a more artistic direction. Established in August 2013, SIGMA China is the newest company among our subsidiaries. Located in the art zone of “Red Town” within Shanghai, the office is where a few dozen staff in their 30’s work. They have even set up a base in Beijing as well. (as of 2014) The head of SIGMA China is Wang Hao who is still in his early 30’s. Installed as general manager at the same time the company was established, he is supervising the establishment of the SIGMA brand and expansion of sales within China. He majored in thermodynamics at a Chinese university and studied abroad for a masters at Tohoku University in Sendai, Japan. After, he worked as a consultant at a management consulting company through which he subsequently became a member of SIGMA. With a unique background and being the youngest general manager in our newest subsidiary, what were his impressions of SIGMA in his eyes. “Because I had the opportunity to be exposed to many Japanese companies in my previous occupation as a consultant, I thought I had a certain deep understanding of Japanese management technique and philosophy. However, SIGMA did not conform to what I knew about Japanese companies. Though it is often pointed out that there is a lack of urgency from Japanese companies in the international market, the reason more or less is because of the slowness of managerial decision-making. I believe it isn’t due to a lack of response to the advances of market trends but more that the subsidiaries are not close to the company. A dp2 Quattro event held at “Red Town” from 6th to 8th September 2014. A press announcement and an opportunity for the public to try out the camera as well as a photographic exhibition and seminars for core users was reported by the media. What moreover surprised Wang Hao was the offer to be Sales Manager. “The time Mr Yamaki, the CEO of SIGMA, directly approached me and asked ‘why don’t you give it a go’ was truly a surprise. I was still 29 years old at the time, I had no experience whatsoever in local corporate business management in the optical instrument industry. To begin with, I felt it would be too difficult as that world is extremely technical. However, I was truly honored to be selected for the post and I felt I should rise up to the challenge”. 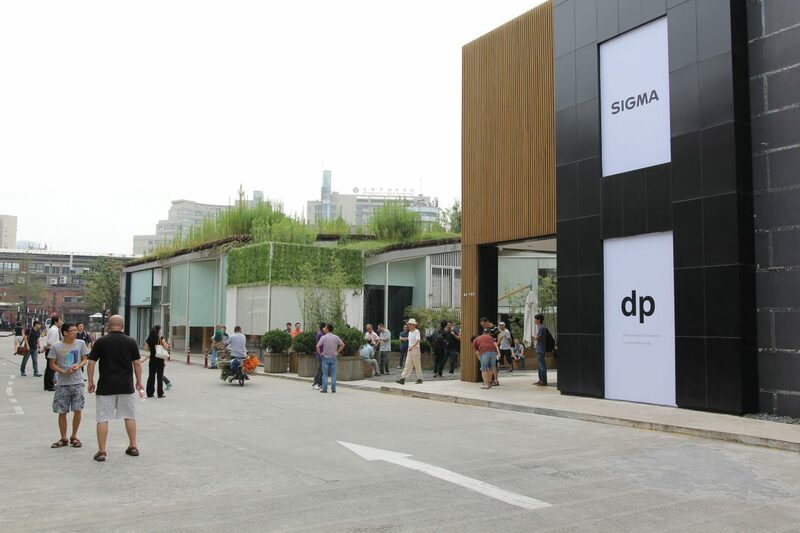 Our showroom is annexed to the SIGMA China office and all our major products are displayed. Equipment can be tried and a service counter is available for repairs etc..
“The global in SIGMA does not so much understand everything through a simple criteria, but more through the notion of ‘breadth’, connected by a diverse and independent range of people that share a common set of values throughout the world. This is where we can safely say “SIGMA always respects every single customer”. After graduation, enrolled at Tohoku University Graduate School in Japan, following in the footsteps of respected local Lu Xu. The “day-to-day variation” of work as a management consultant led him away from a career in thermodynamics. 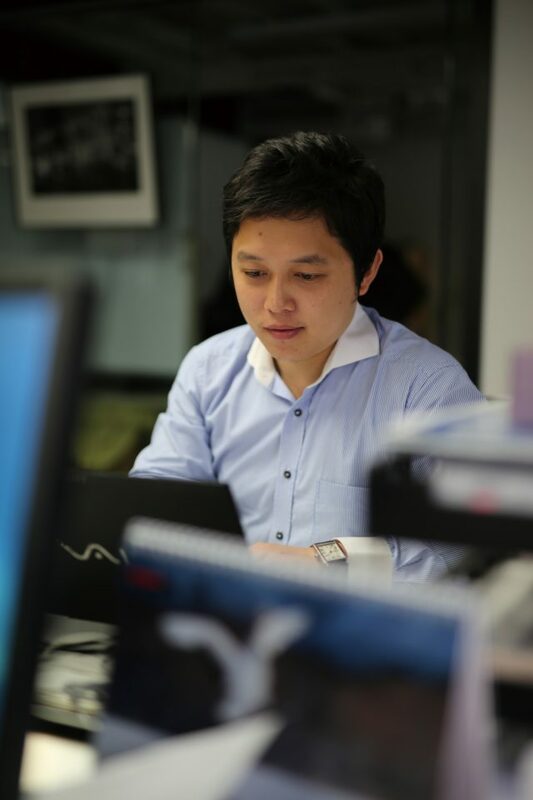 He became sales manager of SIGMA China at age 30. Currently into photography and is a father of twin girls. Hiroshi Iwasaki｜Photographer The camera for photographers.